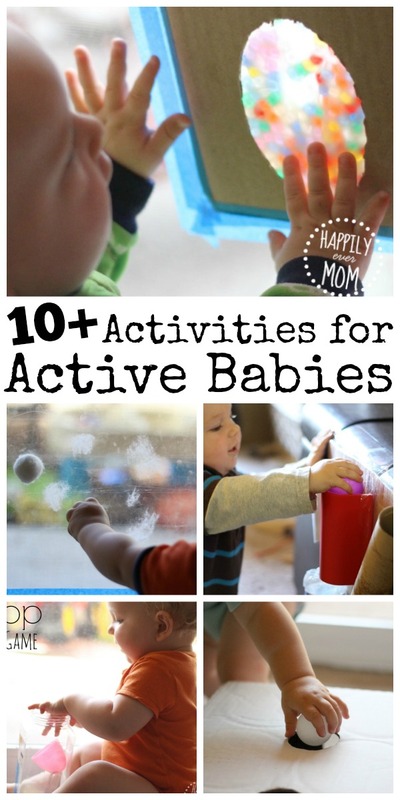 I always need activities for my active baby! 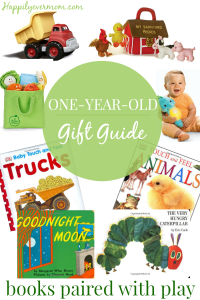 My one-year-old is all over the place – in a good way. We joke that he loves to go to work. If you put something in front of him, he wants to practice, move it to another place in the house and then practice some more! These activities for babies are simple, but they will absolutely satiate baby’s need for engaging, active play. Use something that we all have in the house to make textured art in the window. It’s so simple, but it’s an activity that different aged children can enjoy doing together. After your done playing with that box, turn it into baby’s very own touch and feel board. They can stand and move as they touch and explore textures. 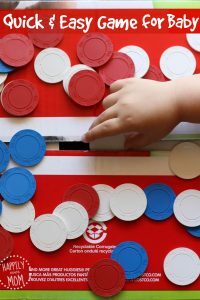 Take some recycled toilet paper rolls and transform them into an easy ball drop for exploration and play. Older siblings will love to get in on the fun, too. If you aren’t interested in having a ton of balls flying through your home, check out this creative way to keep babies entertained AND keep the ball contained | What Do We Do All Day? Come on over to our Facebook page and tell us what you love to do with your active little one!! 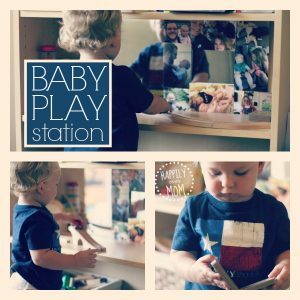 Follow Katie Joiner | Happily Ever Mom’s board Activities :: Baby Play on Pinterest. I love these ideas – very nicely curated! And your egg drop game is wonderful – I love simplicity!